Harley-Davidson India has rolled out a new offer wherein owners of Street 750 and Street Rod can trade their motorcycle in for a brand-new model from the Harley-Davidson Softail family. The company states that if the Street 750 or Street Rod is less than a year old, the owner of the motorcycle is eligible to claim the ex-showroom price of their bike to trade in for a Softail. If the Street 750 or Street Rod is between 12 and 24 months old, 75 per cent of the ex-showroom price of the motorcycle can be claimed under the trade-in offer. Additionally, Harley-Davidson India will also be rolling out special schemes and complimentary offers on Softail models purchased through this trade-in. The Harley-Davidson Street is priced at Rs 5.25 lakh whereas the Street Rod is available at Rs 6.45 lakh; both ex-showroom prices. 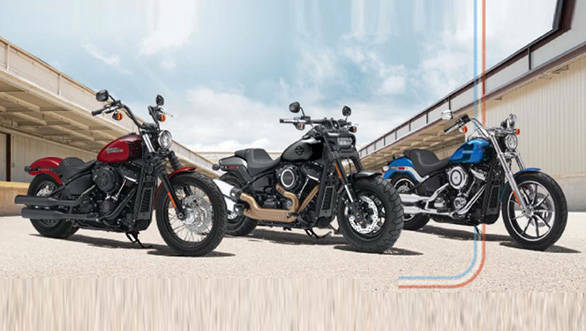 The 2018 Harley-Davidson Softail range consists of the Street Bob (Rs 12.59 lakh), Low Rider (Rs 13.59 lakh), Fat Bob (Rs 14.59 lakh), Fat Boy (18.11 lakh) Deluxe (Rs 18.65 lakh) and the Heritage Classic (Rs 19.71 lakh), all of which are pan-India ex-showroom prices.